The television entertainment industry today is certainly not the same as it was a few decades back. Earlier it was huge tube televisions, and then came sleek LCD televisions, and now it’s the Netflix generation. Cloud-based entertainment services are a thing of the present and the future as well. Netflix is good but Kodi is something else and cCloud makes it truly spectacular; thats why we wrote this tutorial on How to Install cCloud Kodi Addon! Developed originally for the XBox, Kodi is a free to use media player which is available for all platforms. It gives a user full control of media, and with the add-ons available, programming from around the world is only a click away. Now while Kodi is an exceptional tool, it only gets better when you use one of the many add-ons available. These add-ons can extend Kodi’s capabilities drastically. However, they are not all completely legal. While Kodi itself is completely above board, if you’re using some of the other add-ons your ISP could throttle or otherwise curtail your Internet activities. To protect yourself from this, you need to get a VPN. VPNs hide your activity while online and mask what you are doing from everyone – including your ISP. The VPN I recommend is IPVanish. With a VPN your connection is filtered by their servers, but fortunately, IPVanish has extremely fast servers, so I’m not impacted at all. Also, they have a very strict policy and do not maintain any logs, so you are truly anonymous when using their service. We’ve managed to arrange an amazing 57% off deal with IPVanish for all of our readers. All you have to do is click the link. To learn more about VPNs and why they are so important follow this link. cCloud compiles a mega-database of media links, submitted by multiple users, into one single platform. It is available in both website and app-based form. It can be easily downloaded on any smart device. With the help of this application, you can now view anything at just a click of a button. Make sure you’ve installed the latest version of the Kodi Player on your device. Let’s assume you’ve installed Kodi 17.X or higher. Press the SETTINGS icon on your Kodi home screen. In settings, go to SYSTEM SETTINGS and then press ADD-ONS and Enable Unknown Services. Turn your VPN On. Why? Download this to a location that you can easily access from Kodi. Go back to the main Kodi home screen and click on ADD-ONS. Then select the package installer option (box icon on the top left) and click on INSTALL FROM ZIP FILE. Navigate to the location where you’ve saved the zip file and then double click on it. Wait for it to complete. Next, click on Install from Repository and then search for Kodi Bae repo. Click on it and select cCloud TV from the list. Wait for the ADD-ON ENABLED notification and you are done! You can open cCloud by clicking on ADD-ONS followed by clicking on VIDEO ADD-ONS. Voila! Enjoy the best of cCloud right from Kodi! 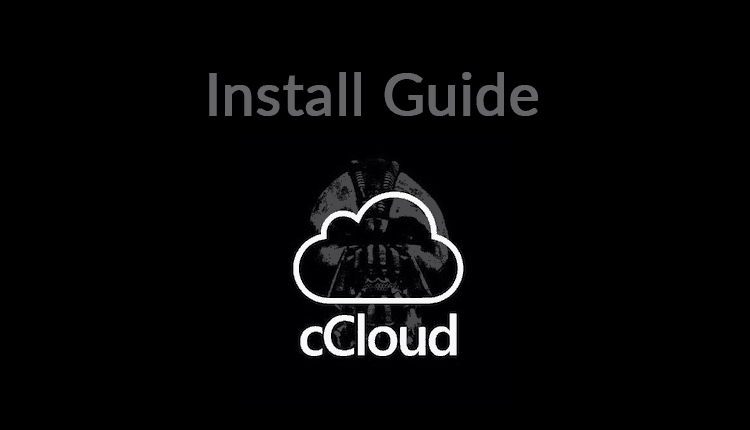 In this tutorial, we talked about the cCloud TV, and if you followed this step by step guide on How to Install cCloud Kodi Addon, is now ready for use in your Kody addons collection. You’ll be able now to stream based on a supplied mega data-base. But, before streaming anything on Kodi using this or any other Addons, remember you need to run a Good VPN, to stay on the right side of the law. Hope this article on How to Install cCloud Kodi Addon, have helped you. If so, please share it with your friends. Although I am new (3 months) to the Firestick and Kodi I’ve become an instant fan and even shown my friend (Kodi intaller) a few tips n tricks. The first time I opened the Kodi app I found the Downloader app and what I can instal from there, At first it was a necessary app called Yesplayer to watch movies from most links but then I searched on my laptop for more Kodi add on’s and found all of these cool Kodi add on’s like cCloud. !after endless years of cable Television and the lack of programs t&at are to my liking I’ve finally found something that gets me excited about turning on my Television. Kodi lifer begin date: August 2018, end date:till death do we part.